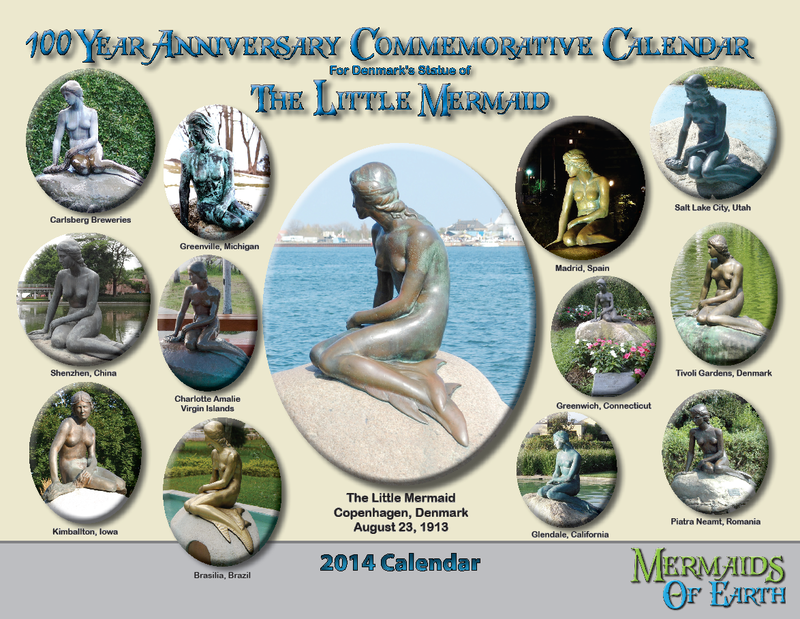 The Little Mermaid Statue in Copenhagen is 100 years old in August 23, 2013. There will be traditional celebrations of her birthday on August 23rd in the afternoon and evening. My wife and I are attending, and we would love to see you there as well, if possible. Also, the Centennial Commemorative calendar is now printed and available. 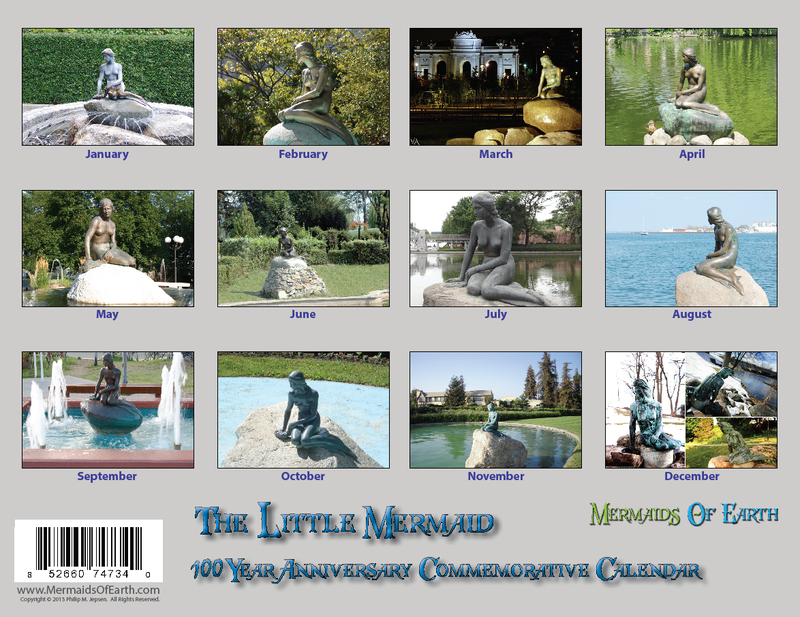 It has spectacular photos of the original Little Mermaid Statue in Copenhagen and 12 other copies of this statue all over the world, in locations such as Romania, China, Denmark, the United States, the Virgin Islands, Brazil and Spain. Here are photos of the back and of the July page opened up.